University Hospital EMS maintains a group of highly trained and experienced staff members that comprise the Special Operations Group (SOG). SOG members represent all of the respective UH-EMS divisions including BLS, ALS, REMCS, NorthSTAR, Rescue, Critical Care, Camden, Supervisors, and Management. The elite Special Operations Group, working closely with the New Jersey EMS Task Force, maintains responsibility for training, preparedness, and operations at large scale, mass casualty, and extended operation incidents within our coverage areas and for the Metro New Jersey/New York Region. SOG Deployments have also been conducted at the statewide and national levels for disaster operations. This mission is carried out through the maintenance of a dedicated core of SOG members, a fleet of specialized vehicles, supplies, and equipment, continuing education and training, drills, and constant emergency management and disaster planning. UH-EMS SOG has in the past responded to a wide variety incidents including large fire operations, high rise fires, large scale evacuations, structure collapses, aircraft crashes, hazardous materials incidents, natural disasters, and crime scenes. All SOG members have extensive experience within their respective fields and maintain the highest levels of training and preparedness. Specialists and Technicians within SOG maintain operations level or higher certifications in Incident Command (ICS), National Incident Management Systems (NIMS), Hazardous Materials, Weapons of Mass Destruction (WMD), Large Scale Incidents (LSI), CBRNE, Mass Casualty Response, and Special Operations Vehicles. Many members also maintain technician and instructor level certifications in these disciplines. On-duty SOG members may be initially assigned to such incidents in a first-response capacity or to staff and operate the fleet of highly specialized vehicles including the Mass Casualty Response Unit (MCRU), Special Operations Vehicle (SOV), and Technology Support Unit (TSU). SOG members are also utilized to fill in key leadership roles within EMS Branch Operations of the Incident Command Structure. For larger or long-term operations, additional SOG personnel may be deployed through an alphanumeric paging system operated by REMCS. University Hospital EMS maintains a fleet on highly specialized custom vehicles to support the mission and operations of the Special Operations Group. These vehicles are staffed and operated by highly trained and experienced SOG members and may be deployed by special request to any large scale or extended operation incident. On-scene emergency responses for these vehicles should be directed to REMCS at (973) 972-7000. Non-emergency responses or tours of these vehicles for public events, drills, or details should be directed to UH-EMS administration at (973) 972-4850. The MCRU is equipped and intended to support SOG and the NJ EMS Task Force at any large scale incident with a high number of victims (actual or potential). The MCRU is equipped with large quantities of bulk BLS and ALS supplies, backboards, multilator driven oxygen, portable generators, basic rescue tools, scene lighting, interagency communications equipment, and materials to assist with the implementation of the ICS system and triage, treatment, and transport stations of EMS Branch Operations. Delivered in 2006, the MCRU was purchased through a homeland security UASI grant and replaced an older MCRU vehicle which had been utilized since 1987. The SOV is equipped to support SOG and Task Force operations at large scale incidents by stocking various support materials. 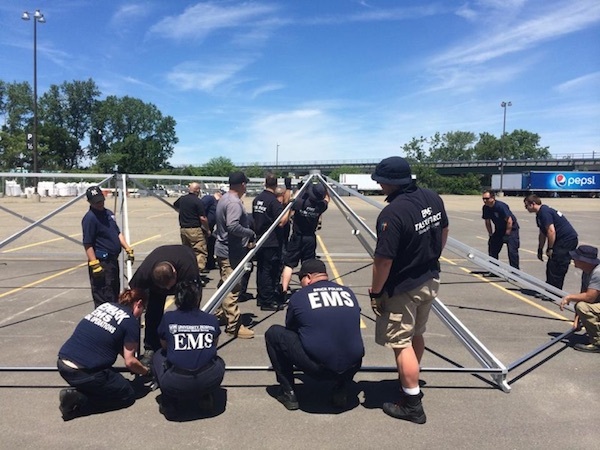 This equipment includes materials for establishing on-scene command posts, rehab stations, record keeping, accountability, and triage, treatment, and transport station support materials. The SOV also provides access via trailer to a specially configured John Deere Gator ATV to assist with mobility on incident scenes. The SOV was placed in service in 2005. Two identical vehicles are operated in Central New Jersey by Robert Wood Johnson EMS and in Southern New Jersey by the UH-EMS Camden Special Operations Group. The TSU, operated primarily by specially-trained REMCS SOG personnel, is responsible for deploying technology resources to incident scenes in support of SOG and Task Force operations. These resources include a mobile communications center, interagency communications equipment, mobile computing equipment and networking, satellite communications, closed circuit television, and mobile command post. The TSU was placed into service in 2005. In support of this fleet, UH-EMS also operates several Special Operations support vehicles. 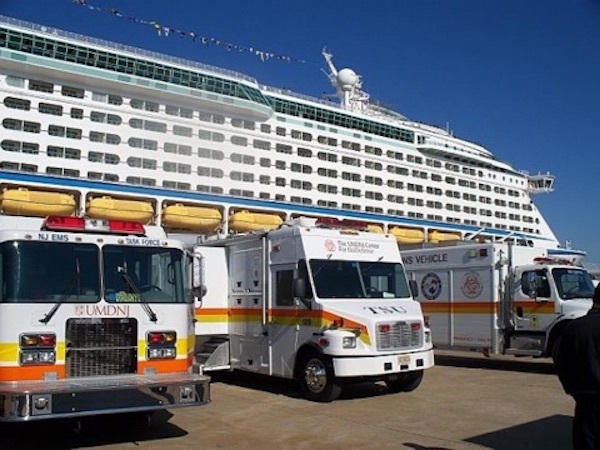 These vehicles include specially configured ambulances, sport utility vehicles, trucks, vans, and trailers. University Hospital EMS is a lead-agency member of the New Jersey EMS Task Force-Northern Region. 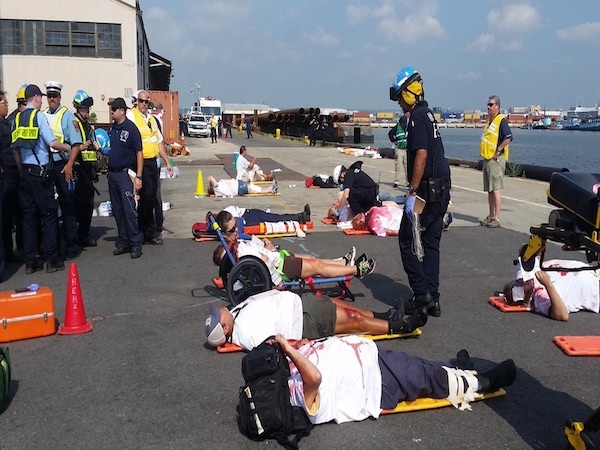 Established in 2004 by the New Jersey Department of Health, the Task Force is comprised of numerous diverse organizations from which assets may be drawn to organize responses to large scale incidents and disaster operations. 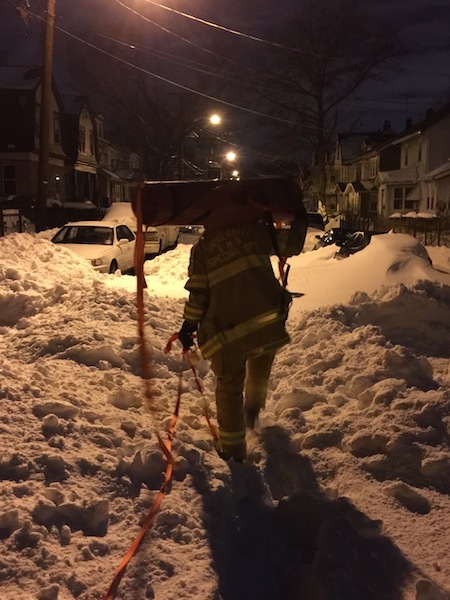 The Task Force also assumed responsibility for all resource and mutual aid mobilization previously coordinated by the NJ State First Aid Council. The Task Force is divided into three regional divisions which adopt the same approach as the New Jersey State Police Emergency Management section. These divisions are anchored with UMDNJ in Newark and New Jersey's other State Level I Trauma Centers; Robert Wood Johnson in Central NJ and Cooper University Hospital in Southern NJ. 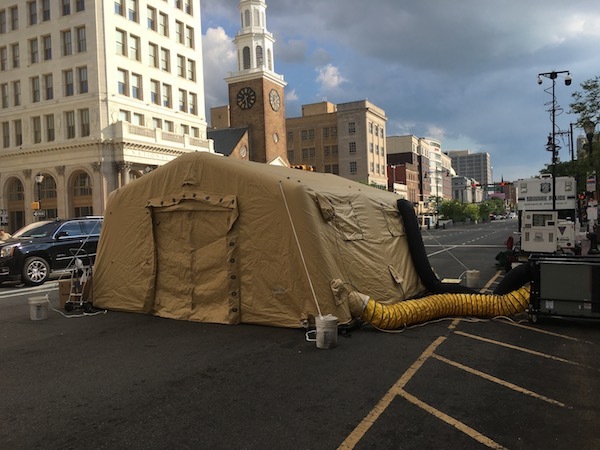 The Task Force represents a coordinated effort with the NJ Department of Health, NJ State Police Office of Emergency Management, the New Jersey Paramedic Association, Medical Transportation Association, and University Hospital. University Hospital EMS assists with the management, operations, planning, training, and deployment of the North Region Task Force which includes professional and volunteer EMS agencies, commercial ambulance services, hospital based BLS/ALS services, and regional communications centers covering the New Jersey counties of Essex, Bergen, Hudson, Morris, Passaic, Sussex, and Warren. UH-EMS Special Operations resources, staff, and vehicles work closely in cooperation with EMS Task Force Operations. For more information please visit the New Jersey Department of Health website. To request an emergency University EMS Special Operations deployment please contact REMCS at (973) 972-7000. Emergency requests should preferably be made by or on the authority of the incident commander, ranking officer, or official handling the incident. Emergency SOG deployments may be conducted for large scale fire operations, mass evacuations, structure collapses, motor vehicle accidents, train/aircraft accidents, hazardous materials operations, natural disasters, and any other mass casualty incident where specialty SOG staff, resources, and vehicles may assist with the successful mitigation of the incident. All SOG personnel are highly trained and experienced members of UH-EMS who maintain the highest levels of training and preparedness. Please direct all non-emergency SOG matters including requests for demonstrations, drills, and public outreach to UH-EMS Administration at (973) 972-4850.